Fabrizio Pierandrei, graduated in Architecture, began his professional career with the Renzo Piano in Genoa in 1989. Until 1994 he worked on several architectural projects including the Kansai International Airport in Osaka, Japan and the Expo 92 in Genoa, Italy. In 1997 he founded Pierandrei Associati, a design firm with a vision of the project as a complex and systemic process, characterized by the use of methodologies and tools borrowed by different disciplines, by a persistent technological research and by the careful observation of contemporary social and behavioral patterns. Within this frame, his contributions range from metadesign, to behavioural research, from concept design in interiors, products and service to strategic design. He worked for clients as Ferrari and Maserati, Sun Microsystems, North Sails, Tecno, E.On and Sedus Stoll, achieving several official awards, as the selection at the ADI Index and at the emerging “New Italian Design” by Triennale di Milano, the Red Dot, the Good Design Award and the U.S. Award. In 2012 he founded PACO Design Collaborative, an innovative network of professionals whose projects explore the potential of Design and Education in fostering social innovation, sustainable behaviors and business opportunities, recently granted by the European Commission for a four year international project on Service Design Thinking tools for human empowerment. 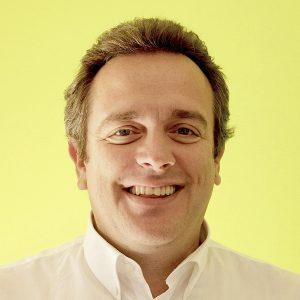 Fabrizio Pierandrei also plays an intense teaching activity, mainly in the collaboration with the Polytechnic of Milan, School of Design, as an adjunct professor at the Master of Product Service System Design and with POLIdesign at the Master of Strategic Design. From 2017 he is member of the National Steering Committee of ADI, the Italian Associazione per il Disegno Industriale.